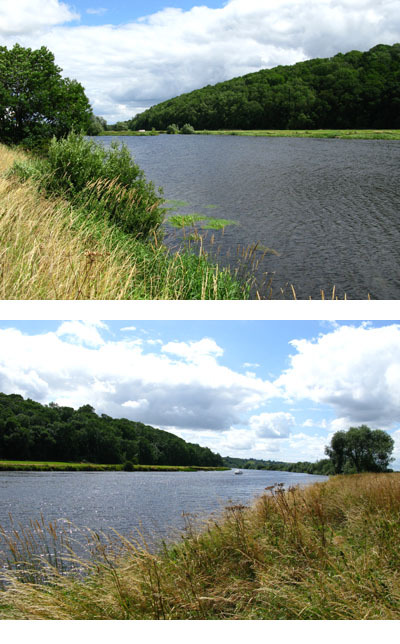 About 470 yards of river in a very picturesque setting, the stretch contains all the species of fish normally found in the Trent with Roach and Chub being predominant. Day Tickets are available, Night Fishing is allowed with a Night Permit. (Night Fishing is not allowed on a Day Ticket) Closed Season 15th March to 15th June Inclusive. From Lowdham Roundabout take the A612 towards Southwell for 2 ½ miles. In Thurgarton Village turn right into Bleasby Road and continue for just under 1 mile to sharp right bend into Station Road. Continue for just over 1 mile to the crossroads and go straight on into Boat Lane. Continue along Boat Lane for 600 Yards, parking is at the end of the lane. Access to the water is by walking 200 yards upstream to the start of the end of the caravan site.